ew York City instructor CHRISTINA PHILLIPS' life changed last December, when her big brother, John Phillips, was diagnosed with Acute Lymphoblastic Leukemia (ALL). "Life happens when you least expect it," she tells SOUL. "It's telling us to slow down and connect with each other now more than ever. It goes without saying that this road is not a straight one — it has had ups and downs and several scary twists. Everybody will have their moments and it is 100 percent how you deal with them that reveals your character. I feel so incredibly far away and wanted to do something to help my brother and his family with the insane burden of medical expenses. I am leading a ride in John’s honor on Sunday, June 25th at FIDI and I started a GoFundMe for anybody who can’t attend and wants to donate. I just want to give my brother one less worry. He needs my support more now than ever and I know he would do the same for me." In this intimate interview, Christina asks John about his journey and how he stays resilient. CP: I saw this quote and thought of the road you have been on since December: “There are some things you learn best in the calm and some in the storm.” What has been your takeaway during the calmer times? JP: During the calmer times, I found myself thinking about all the scenarios that I may go through during the rough times and tried to prepare for them mentally, and as much as possible, physically. CP: And during the chaos? 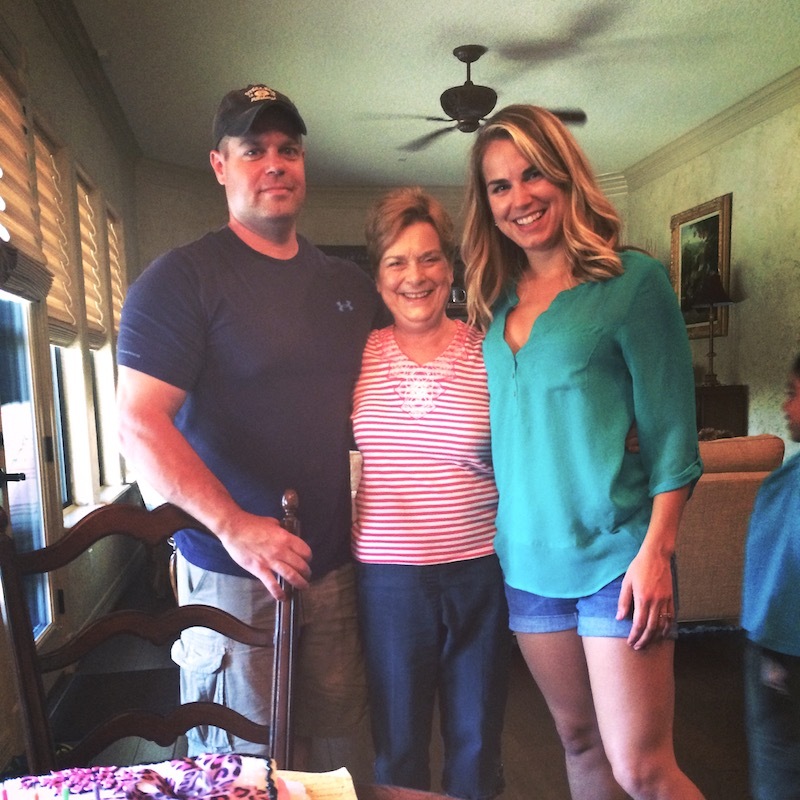 CP: Do you think your approach to life has changed since your diagnosis? JP: I think I’ve learned a lot through this experience, especially through my faith. I also have a better understanding of what people go through with cancer. I can now relate to the ups and downs of cancer patients, but I hope to be one of those survivors that educates and motivates others based on my experience. CP: What life changes will you make? JP: The biggest change will be in my work-life balance. I’ve spent most of my career focusing on working hard and successfully delivering results. Now I see myself spending more critical time with family and investing in my kids. Rather than “live to work,” I want to “work to live.” I would like to travel as well, specifically to Germany and Italy to learn more about those cultures and my heritage. CP: What keeps you going? JP: My family is the world to me. Another thing that keeps me going is not knowing how to quit. The first minutes I learned about my leukemia diagnosis, my mindset immediately shifted to take the disease on as a challenge to finish strong. I constantly strive to push myself. CP: What do you consider your mantra? JP: “Circumstances reveal character.” [It's] the situations you’re dealt that show what you’re made of. It’s about learning something new about yourself and growing from it. I thank God every day for these opportunities. CP: Now that you have such a huge squad of SoulCycle friends and supporters in NYC, will you ever venture to try SOUL? 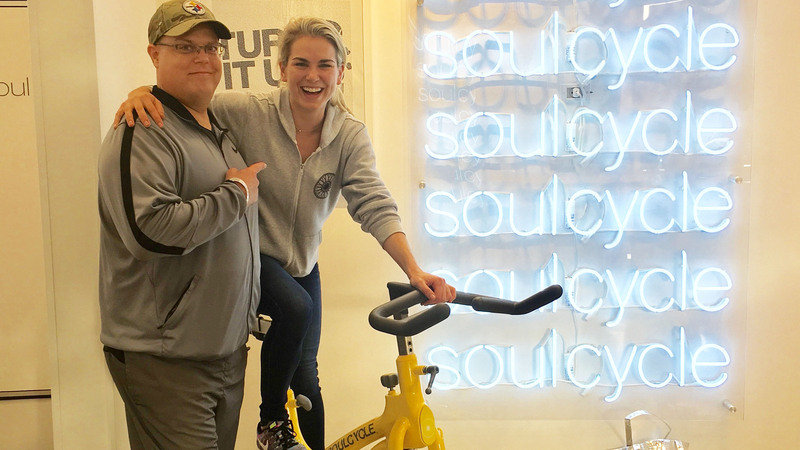 JP: A SoulCycle class is a bucket list item that I’m planning to complete! I look forward to meeting the SoulCycle crew. CHRISTINA will be leading a charity ride on Sunday, June 25th at FIDI to fundraise for John’s medical expenses. To learn more, head over to her fundraising page HERE. You can book a bike in the class HERE.